Nice Rack Canada recently designed & built up a pair of series wired guitar pedalboards for South Park creator, Matt Stone. These slabs of tasty tone are installed in the jam space in Matt’s NYC home. 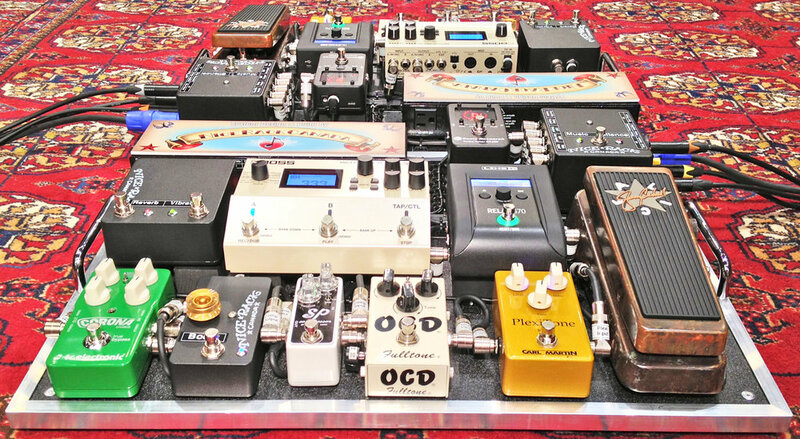 Features in these pedalboards include; an input buffer to optimize the impedance output from the UHF receiver into the Wah. A Clean Boost Pedal with Buffered Tuner split after the OD’s with optimal input loading to emulate the connectivity value of Guitar -> OD -> Amp yet still being able add modulation & delay to the signal path. Each system is powered by the bedrock of system PSU’s, the Voodoo Lab Pedal Power Mondo. 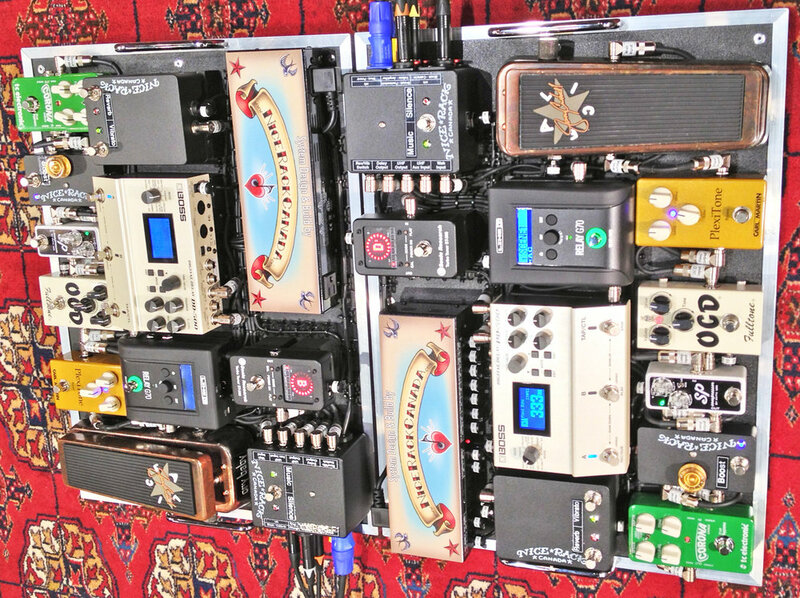 Signal path is UHF or Cable Input -> Input Buffer -> Jim Dunlop Jerry Cantrell Signature Wah -> Carl Martin Plexi Tone -> OCD -> Xotic SP Compressor -> Nice Rack Canada Clean Boost & Tuner Split -> Sonic Research Turbo Tuner & TC Electronic Corona Chorus -> Boss DD500 Delay -> Fender Twin Reverb Amp.